One person will be watching the current trial of Laisenia Qarase with more than usual interest – his predecessor as prime minister and would-be political partner, Mahendra Chaudhry. Will he or won’t he be convicted? Chaudhry knows that if Qarase is found guilty, he’ll be removed from the political scene and theirs will be the briefest of flirtations. But if he’s cleared, the SDL leader is someone Chaudhry intends to enlist for the political struggle of his life – trying to derail Prime Minister Frank Bainimarama’s plan to morph into a civilian leader at the promised election in 2014. The proviso, of course, is that Chaudhry himself can stave off any conviction over the alleged nondisclosure of large sums of Indian donor money in Australian bank accounts. It’s all rather messy even by the usual Byzantine standards of Fijian politics. But it hasn’t stopped the Labour leader from engaging in some fascinating political manoeuvres in recent weeks, all with a view to getting himself into the best possible position for the 2014 poll. Leaving aside the question of whether Qarase and Chaudhry are still left standing on the political battle field, there seems little doubt that Chaudhry wants to avenge his removal in the George Speight coup of 2000 and take up where he left off. His furious response last week to rival Krishna Datt’s call for him to stand aside is indicative of a man determined to stand and fight. His main rival, of course, is Frank Bainimarama, who – if the whispers are correct – intends to lead a new multiracial party into the election. But to turn 2014 into a two-man contest by establishing himself as the only credible alternative to Bainimarama, Chaudhry first needs to neutralise Qarase at the SDL and dispose of Datt, who’s threatening his leadership of the Labour Party. More on the Datt threat later. But Chaudhry must realise that the odds of him ever emerging again as prime minister are stacked against him. Why? Because the entire political ballgame played in Fiji since independence will change in 2014. The precise rules are being formulated by the current constitutional review. But because the regime has set some non-negotiable preconditions, we already know that Fiji will have a level electoral playing field for the first time – one person, one vote or equal votes of equal value. This is the revolution that Bainimarama has already wrought on Fiji – smashing the race-based system that’s always underpinned local politics. Broadly speaking, it spells the end of the dominance of communal politicians – people who built their careers on gaining the confidence of their respective races and engaging in the horse trading necessary to secure their gains in national life. Yes, Fiji has had ostensibly multiracial parties before, such as the Alliance Party and Labour. Yet even they were built on majority support from one or other of the main races – the i’taukei in the case of the Alliance and Indo-Fijians in the case of Labour. Race was so potent that in 1987, Fiji had an i’taukei Labour prime minister – the late Timoci Bavadra – for only a month before he was removed by Sitiveni Rabuka in the first coup. There were so many Indo-Fijians behind Bavadra in Labour’s ranks that he was merely regarded as their stooge. 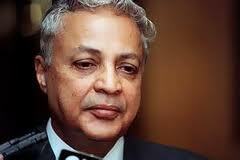 Mahendra Chaudhry’s great achievement was to become Fiji’s first Indo-Fijian prime minister as Labour leader in 1999. Yet he lasted only a year because of the same perception of an Indo-Fijian threat to the i’taukei – his reign smashed in the George Speight coup of 2000. All along, i’taukei pressure has kept the electoral system operating in a manner that favours them – communal seats with a clutch of crossover general seats – and with the choice of president and vice president in i’taukei hands through the Great Council of Chiefs. Bainimarama’s own mark on history is to say “no more”. In his view, the fact that the i’taukei have replaced Indo-Fijians as the majority race since the coups means that the fundamental argument for the old order – that i’taukei were threatened by vulagi (visitors) – is no longer valid. In any event, he thinks it’s high time for Fiji to forge a new identity more befitting the modern era in which race has no place and everyone moves forward together as “Fijians”. 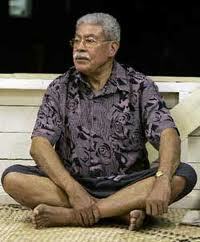 The historical significance of what Bainimarama has achieved cannot be overestimated. He has unilaterally busted the four decade-long paradigm of post-independence Fiji politics by drawing a line under arrangements that most people thought would continue indefinitely. This alone makes Bainimarama, not Chaudhry, the front-runner in any election in which race isn’t a factor. Because by drawing support from all sections of society, whatever their hue, Bainimarama has the broadest political base. It may be anathema to his opponents but there’s ample evidence that the other races – and especially Indo-Fijians – are grateful to him for his stated policies of inclusion. And many i’taukei – especially outside the cities and towns – are being won over by a dramatic improvement in the quality of governance and better delivery of services. One of the great untold stories in Fiji right now is the extent to which some of the most talented of Bainimarama’s officers – acting as District Commissioners and District Officers – have bulldozed badly needed reforms through at local level and won over even the most trenchant of the regime’s critics. It’s why traditional ceremonies of apology to Bainimarama have been a regular feature even in those parts of the country – such as Naitasiri – that were once bastions of opposition to his rule. The grassroots is responding to Bainimarama’s conviction that his revolution will fail if it doesn’t provide a better future for ordinary people. But he also believes that if he can deliver genuine reform – as opposed to the promises of his opponents – he’s almost certain to be rewarded with a solid political base on which to transform himself into a democratically elected leader. 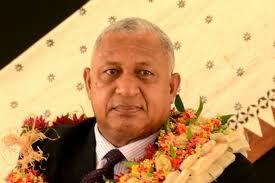 With last year’s Lowy Poll indicating an approval rating of 67 per cent, Bainimarama will be the man to beat in 2014. And part of that naturally arises from the baggage his principal opponents are carrying for their own long-term identification with race – Chaudhry with Indo-Fijians and some others, Qarase exclusively i’taukei. How many other people emerge as viable leadership candidates between now and 2014 is yet to be seen. Many Fijians are craving fresh faces. But for the moment, let’s just deal with what we know. Chaudhry surprised everyone in May by suggesting that Labour join the SDL in a joint submission to the Constitutional Commission for the retention of aspects of the 1997 Constitution. They both want it for different reasons – Qarase to try to maintain indigenous paramountcy, Chaudhry to protect the political power of the minorities (read Indo-Fijian ). But their common interest is to fend off any threat to their own positions – in short, the weakening of their power – posed by the entire construct of one person, one vote and the imposition of a multiracial level playing field. That’s why Qarase’s response to Chaudhry’s audacious overture to join forces was “good idea”. At the time, it seemed inconceivable to many people that these two once bitter enemies could work together in any meaningful sense. One – Chaudhry – was toppled and held hostage by some of those who subsequently turned up in Qarase’s government. The other – Qarase – has some extreme ethno-nationalists behind him who would like to ship Chaudhry and every other Indo-Fijian back to the Subcontinent from whence their ancestors came. How could they possibly work together? Grubsheet even went so far as to call it M.A.D – as in both crazy and ensuring mutually assured destruction as their respective constituents rebelled and went elsewhere. But we’ve since come to realise that we might have got it wrong. There may be method in Chaudhry’s madness after all. Why? Because he realises that the only way to derail the Bainimarama multiracial juggernaut is for the other traditional leaders to jettison their communal straight jackets and try to emulate the military chief. And the only plausible way to do that may well be to form some kind of alliance between Labour and the SDL – however improbable that may seem. Could they eventually govern in coalition? Why not? They had a power sharing arrangement before the 2006 coup that the regime’s opponents maintain was never given a proper chance to succeed because Frank Bainimarama trashed the furniture. Why not breathe new life into the idea again but this time with the added impetus that their political lives depend on it? Granted, it would represent a triumph of the old adage about “my enemy’s enemy being my friend”. But so what if there’s even a remote chance that it might work – a grand anti-Bainimarama coalition of two leaders who hate him much more than they’ve ever hated each other. The risk for Qarase – even if he’s cleared of the present corruption charges against him and can run – is that it’s just not in Mahendra Chaudhry’s DNA to be second banana. Ask anyone in the union movement. Ask Krishna Datt. Chaudhry is a wily, savvy, ruthless politician who has a Soviet-like insistence on being number one every time and broaches no dissent. So who would bet on Qarase becoming the dominant figure in any coalition, whatever the numbers? Think about it. One, the trade union leader from the West with the nouse to defeat the tide of history and a political system stacked against him to become the first Indo-Fijian prime minister in Fiji’s history. And the other, a man so naive – or frightened by those around him – that he stuck to a blatantly racist agenda and seemed genuinely shocked when the military chief who’d been threatening him to back off for months finally cut his legs off. Let’s face it, Mahendra Chaudhry – the politician and strategist – could eat Laisenia Qarase for breakfast. Of course, this entire scenario falls over if a guilty verdict on Qarase is delivered in the Suva High Court. And it’s invalid if Chaudhry ever gets convicted of a criminal offence himself. But if they’re in the clear, a coalition of some sorts might be the sole remaining hope for either politician – with the baggage they carry – to get enough votes from all races to regain their roles as significant political players. Yet before all that happens, Chaudhry is having to deal with a rebellion in his own ranks. Strictly speaking, it comes from outside because Krishna Datt was expelled from Labour when – as a member of Qarase’s multi-party government – he didn’t obey Chaudhry’s instruction to vote against the last SDL budget before the coup. Yet as one of Labour’s founders, a vice president of the party and foreign minister in the ill-fated Bavadra government, Datt still commands significant grassroots support. Last week, he announced that he planned to stand as a candidate in 2014 either for a new party or an existing one. And the proviso for standing for an existing one – Labour – was the need for a leadership change – Chaudhry. In an oblique assault on Chaudhry’s integrity, Datt spoke of the need to restore moral fibre to the political process. And he poured scorn on Chaudhry’s overtures to the SDL, saying that “having lost credibility with Indian voters, Labour was now wooing Fijian support by leaning on Qarase”. In a furious response, Chaudhry accused Datt of waging a “political vendetta”, of “misguided ravings” and of “trying to pose as a saint”. He described Datt’s comments about the Qarase overture as “baseless” and “snide” and said they were a “refusal to face the reality on the ground”. “What we are doing along with the SDL…is to try and unite the nation as it treads the path back to democracy and constitutional rule via general elections”, he said. All this points to a grassroots rebellion in Labour’s traditional Indo-Fijian base against any notion of an accommodation with what they regard as the racial supremacists of the SDL. So before Chaudhry can dance with Qarase, he’s going to have to clear the floor of his own disgruntled supporters. It’s going to be a fascinating few weeks and months – an internal brawl within Labour about Chaudhry linking up with the beneficiaries of the 2000 coup, Qarase – the main i’taukei leader – on trial for corruption and above it all, Frank Bainimarama, getting on with the business of government in the sure knowledge that of all three right now, only he is a certain starter for the 2014 poll. And he hasn’t even announced if he’s standing. Mahendra Chaudhry has no credibility. He used the coup to become rich. He has has built a personal fortune for himself and his family by using his position in the Labour Party and using the name of the poor farmers. How despicable is that. Mahen accused Krishna Datt of a “political vendetta”. This from Mahen, the most vindictive politician ever, who brooks no dissent, and has expelled from the party anyone who questioned him. Mahen accused Dutt of posing “as a political saint”. The irony is staggering. If anyone has been acting like political saint and champion of the poor and built a career on it, it’s Chaudhry. He then proceeds to pocket $3m in donations raised in the name of the poor. The Labour Party called Dutt “self-serving”. Who has $3m in the bank – mahen chaudhry or Krishna Datt? If you talk about self-serving, mahen chaudhry is the king. Did we elect this guy to go around the world, begging bowl in hand, raising money for him and his family? At $3m stashed away, mahen is the most accomplished beggar in the history of Fiji, if not the world. Mahen chaudhry was found of accusing opponents of “feathering their nest”. Well, he takes the cake in this department. He has $3m in the bank as proof! In the Labour Party statement Chaudhry “reaffirmed the democratic nature of the FLP”. Haha, what a joke from someone who has surrounded himself with lightweights and ‘yes-man’, like his in-law, Sachida, whom he appointed senator in a sneaky, nepotistic manner by overturning party decision. Those who complained were disciplined – this is democracy mahen style. Chaudhry has turned Labour into a family party with son Rajen the heir apparent. Does anyone need more proof that the Labour party is finished; that it is nothing but a mahen chaudhry instrument for power. All the party does is churn out lies and propaganda to prop a leader who has failed miserably time and again. FLP is full of ‘badia bail’ or castrated bulls. No one has the balls to take on mahen. The sooner this corrupt, nepotistic, tax-dodger departs the political scene, the better. Ok, once again this makes good reading and provides a scenario of “IF” situations. I think this gives us an opportunity to “bash” Chaudhry for what he is….before his trials resume. I for once was a supporter of his, but the moment he got his son into positions I knew there was a disaster in the making…..
One would recall (espacially Indian brothers) during primary school years, any of the teachers/headmasters sons in the same school would act as if they were the heads of the school..and there were hangers- on around them as well. Somehow the teachers son would come first in class and the hangers on would follow. Our parents did not have influence so we were content with cleaning the classroom and accepting whatever positions in class. And what did we do…..wait and wait…and wait..
Guys can someone provide some facts of the amount he has in his accounts……in Australia??? Anyways after Mahen, we will be having another trial ( I think) for Rajen..his son. ie writing her affidavit ( I think Justice Gounder has called for an enquiry…or something)…perhaps this will be another blog to debate on. The worst case scenario for Qarase, Chaudhry and Bainimarama would of course be the emergence of a fourth candidate, untarnished, able to reach out to all races, and possessing the intellect and mana to restore some long overdue dignity to the office of PM and the political process as a whole. We live in hope. And who might that ‘Saviour’ be? Both the parties SDL and Labour have taken the poor people for a ride in the past , if the people of fiji still vote for them , then fiji needs a military government indefinately .Atleast till a new generation of young people with no political hangovers come into the scene and the voting public become more educated. Mere opinions like clouds holding no water. The view that Bainimarama is the preferred candidate and leader for the 2014 elections will be proven wrong when that day comes. His actions are more treacherous and deadlier than the poisonous sting of a serpent. Better to be a liar and a con man than one who approves murder.